For the first time at George School, Artificial Intelligence (AI) is being offered as an independent study. Five students are currently enrolled in the pilot program, taught by math teacher Travis Ortogero. The course was initially borne out of student interest. Last year, several students in advanced math and computer science classes approached Travis and asked if he would teach an independent study about AI. Travis designed the course around several projects that teach students firsthand how to program computers to mimic human intelligence. Students will study the advanced math and programming skills required to tackle the projects. 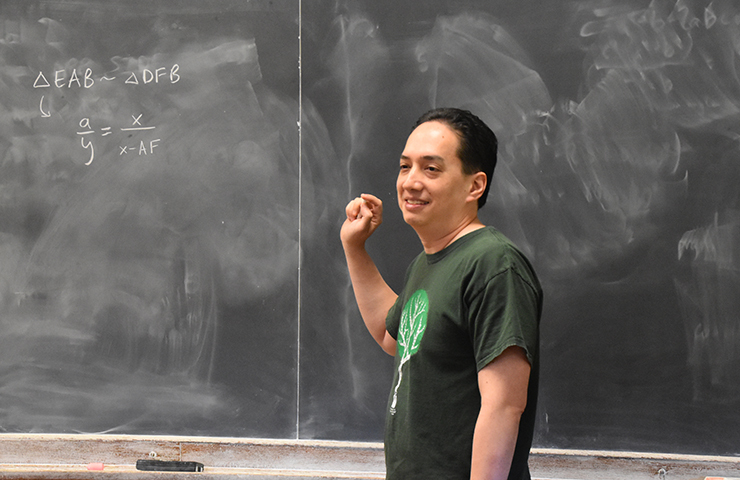 “One learning goal is to have students become aware of how to program a few of the more popular and accessible AI algorithms in use today: genetic algorithms and neural networks,” said Travis. He explained that genetic algorithms are a way to let the computer figure out the best approach without the programmer telling it what to do, while neural networks reconstruct the human brain in computing systems. One limitation of genetic algorithms and neural networks is that they can teach a computer to learn one specific task well, but generalization is more challenging. “Thus, the other goal of the class is to help them understand what would be required to make a computer capable of understanding and reasoning about knowledge in the abstract so that it can make deductions in a wide range of fields and topics,” said Travis. To that end, students in the course have been studying first order and propositional logic. Travis hopes that his students will become fluent in the major ideas of the field so that they can jump into a project of their choice when they begin college. “I hope they see how they can create their own AI that can analyze data to assist them in any data-driven field they may pursue, along with the understanding that more and more fields are turning out to be data-driven,” said Travis.